Unfortunately, this was a huge, missed opportunity. Here’s what went wrong, and how to make sure it doesn’t happen to you. Your client meetings are a precious asset. When you’re face to face with the executives you work with, it’s a chance to add value, learn more about their concerns, and influence their attitudes towards you. Your competitors, in fact, would kill for the access you have. But many professionals simply don’t maximize the value and impact of their meetings. They don’t create a great client experience that leaves the participants thirsting for more. When this happens, executives shift their priorities and use the time you wanted with them for some other, higher-value purpose. They delegate or just don’t show up. Whether it’s a regular steering committee review of progress on a large project, or just a short update to present some findings, ask yourself these questions: Does your client walk away thinking, “That was a great use of my time—I’m really looking forward to the next time we meet”? Do they leave feeling like it was an invigorating, even “wow” experience? Or are they thinking about delegating their attendance to a subordinate for the next go-around? 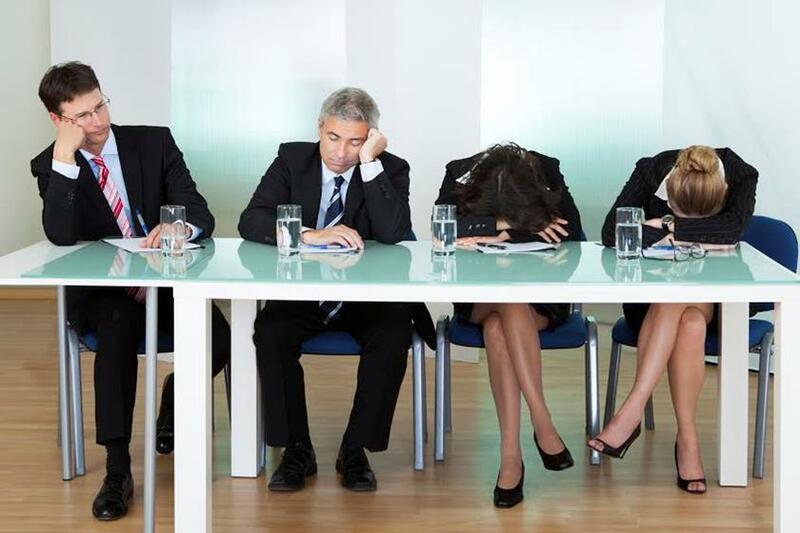 Executives sit through meetings all day at work, and many of them are fairly tedious. Your job is to show them something quite different. What Makes for a Great Client Experience? There are seven elements of a great client experience. While you may not have all of them present in every meeting, you will certainly want to provide four or five of them. 1. Value. This is, of course, at the core of your interactions with clients. They are paying you to deliver value. This can be contractual value around the specific product or service you’re delivering, or it can be more general value that helps the client improve their business. 2. Education. Clients want to learn from their interactions with you. They want to build their own organizational capabilities. Are you educating as well as informing them? There’s a difference between the two. When you educate them you help them understand the why behind your work. You improve their capacity to problem-solve on their own. 3. Engagement. Executives get “presented to” all the time by outside service providers, and they tell me it’s often boring and even stultifying. Are you engineering a highly engaging experience that involves active give and take, participation on both sides, and the use of multiple media to communicate? 4. Emotional Resonance. A great experience appeals to your heart as well as your head. That’s why a trip to Disney World, or a romantic getaway to the Caribbean, can be so memorable. Emotional resonance occurs when people feel they’ve connected on a personal, emotional level. This means sharing feelings and personal experiences, using metaphors and analogies in the form of stories, and asking emotional not just rational questions. 5. Collaboration. Are your meetings collaborative? Clients—like you—don’t just want stuff “done to them.” When clients collaborate with you during both design and delivery, they feel more engaged and committed. You become a team, not arms-length participants in a transaction (or at worst, adversaries). 6. Entertainment. Simply put, people learn more when they are having fun. And, if clients perceive your meetings as not just being valuable from a business perspective but also engaging and fun, they will especially look forward to them. 7. Other-Worldly. A great experience gets you out of your normal world. When you change the environment, you talk about different things, interact on a more personal level, and get new perspectives on your life back in the office. That’s why going offsite for a meeting can be so refreshing. Apple Stores, which are an integral part of Apple’s success story, are “other-worldly” compared to almost any other retailing environment—and they were designed to be that way. The Genius Bar also puts “value” at the center of the experience for anyone who has a question or problem with their Apple products. Here are some specific practices and ideas you can incorporate into your own meetings to create a “wow” client experience. Involve new stakeholders. These could be new executives from the client’s organization or new people from within your own firm. For example, I once ran a major training initiative for corporate bankers at a large bank. For one of our sessions, we invited members of their credit committee to participate. To the bankers, the credit approval process seemed opaque and troublesome—they would sometimes agree to a loan with a client, only to have it turned down a few weeks later by the credit committee. This session gave more transparency to the process, and helped improve relationships between the two groups. You could, similarly, invite new and different experts—or even one of your firm leaders–from your own organization to participate. Collaborate before, during, and after. When I first started in consulting, it was the heady days of the early 1980s, and strategy consulting was taking off. There was a “black box” quality to much of the work we did. We gathered data, analyzed it, and then tried to “wow” the client with our brilliant insights during largely one-way presentations (“here are our conclusions and recommendations—now go implement them!”). Today, clients want to actively participate and collaborate with their external service providers and advisors. This may mean working closely together to prepare for a meeting, jointly presenting, and then planning next steps together. Use humor and make it fun. One of my clients was highly successful at helping corporations roll out and communicate their new strategies to large groups of employees. They often utilized a board game or card game as part of an interactive training session that was actually fun for the participants. Change the experience environment. This can help create the “other-worldly” part of the experience for your clients. Use different presentation media. Why does every client meeting have to revolve around PowerPoint slides? To engage, create emotional resonance, and generally improve participants’ recall of the facts you are presenting, use a variety of media in your meetings such as videos, wall charts, placemats, role plays, case studies, etc. Just using pictures in your slides can have an impact—one study showed that having a photo or illustration on a slide triples people’s recall of the data it presents. Use interactive simulations and exercises. One of my clients used to run a computer simulation game to model the impact of different strategies on market share. Another used a risk simulation program for their financial services clients. Employ more stories and examples. Stories, examples, analogies, and metaphors all appeal to our right brains. They touch us on an emotional level. They help us remember. Not surprisingly, great teachers throughout history have used parables and allegories to connect with and engage their students.